Server Name Indication (SNI) allows multiple HTTPS targets to be served off the same IP address and port without requiring those targets to use the same TLS certificate. When SNI is enabled on a client, the client passes the hostname of the target endpoint as part of the initial TLS handshake. That allows the TLS server to determine which TLS cert should be used to validate the request. Requests from Edge to the backend. In this scenario, Edge acts as the TLS client. SNI support for requests to API proxies is controlled by hosts aliases and virtual hosts. With Edge, a virtual host defines the IP address and port, or DNS name and port, on which an API proxy is exposed and, by extension, the URL that apps use to access an API proxy. The IP address/DNS name corresponds to an Edge Router, and the port number is an open port on the Router. When you create the virtual host, you also specify the host alias of the virtual host. Typically this is the DNS name of the virtual host. As part of determining the API proxy that handles the request, the Router compares the Host header of the incoming request to the list of available host aliases defined by all virtual hosts. The combination of host alias and port number for the virtual host must be unique for all virtual hosts in the Edge installation. That means multiple virtual hosts can use the same port number if they have different host aliases. A virtual host also defines whether the API proxy is accessed by using the HTTP protocol, or by the encrypted HTTPS protocol using TLS. When configuring a virtual host to use HTTPS, associate the virtual host with a keystore that contains the cert and private key used by the virtual host during TLS handshaking. SNI allows you to have multiple virtual hosts defined on the same port, each with different TLS certs and keys. Edge then determines the virtual host, and the cert/key pair used by TLS, based on the server_name extension in the TLS handshake request. The Edge Router reads the server_name extension in the TLS handshake request, and then uses it to search against the host aliases from all virtual hosts. If the Router detects a match with a host alias, the Router uses the TLS cert and key from the virtual host associated with the host alias. If no match is found, TLS handshaking fails. Rather than having the TLS handshake fail, you can define a default cert/key pair, as described in the next sections. Apigee provides a TLS certificate and private key to support HTTPS. While many customers prefer to use their own certificate and private key at deployment time, you can deploy your APIs using the Apigee cert and key. Note: All Apigee Cloud customers use the same Apigee-provided cert. Therefore, if you are a Cloud customer and are doing two-way TLS to the backend, you should not use the Apigee-provided cert because it cannot be used to uniquely identify the owner of the API proxy connecting to the backend. In Edge for the Cloud, if the Router cannot match the SNI header to a host alias or if the client does not support SNI, then the Router uses the default certificate provided by Apigee, which is *.apigee.net. Note: This functionality is available for Edge for Private Cloud version 4.16.01 and later. In this example, the Router uses the cert/key from the virtual host named default because example_prod_default comes alphabetically before example_prod_test. On the first Router node, edit /opt/apigee/customer/application/router.properties. If that file does not exist, create it. Repeat these steps on all remaining Routers. On the first Router node, copy the cert and private key to a location on the Router node that is accessible by the apigee user. For example, /opt/apigee/customer/application. Edit /opt/apigee/customer/application/router.properties. If that file does not exist, create it. Edge supports the use of SNI from Message Processors to target endpoints in Apigee Edge for Cloud and for Private Cloud deployments. By default, SNI is enabled on Edge Message Processors for the Cloud and disabled in the Private Cloud. Note: Leaving SNI disabled can prevent the download of NPM packages. For example, a request in the form /v1/o/org/apis/api/revisions/revision/npm to download NPM packages fails with an error message in the form "Hostname/IP doesn't match certificate's altnames". If the target endpoint is SNI compliant, you can enable SNI, which also allows you to download NPM packages. For Edge for the Private Cloud, to be backward compatible with existing target backends, Apigee disabled SNI by default. If your target backend is configured to support SNI, you can enable this feature as described below for your version of Edge. No other Edge-specific configuration is required. If your target environment is configured for SNI, Edge supports it. 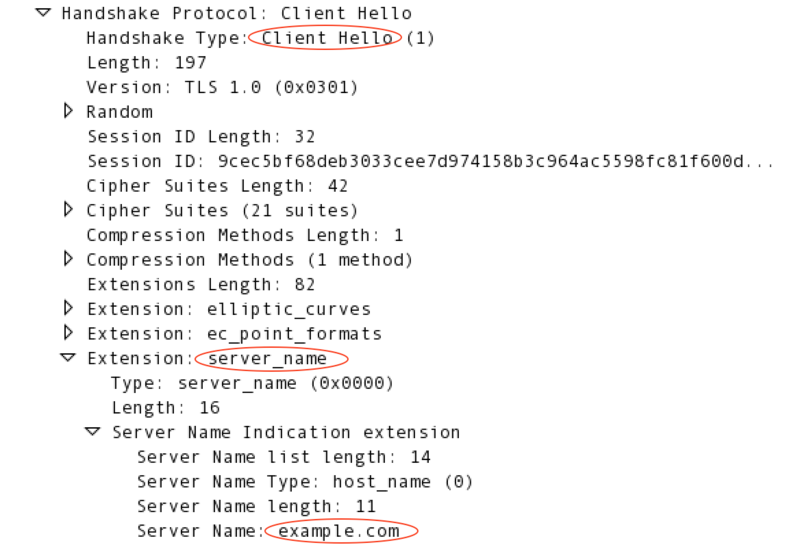 Edge automatically extracts the hostname from the request URL and adds it to the TLS handshake request. Note: For Edge for the Private Cloud, Java 1.7 is required. On the first Message Processor node, open the file /opt/apigee4/conf/apigee/message-processor/system.properties in an editor. Repeat these steps on all remaining Message Processors. On the first Message Processor node, edit /opt/apigee/customer/application/message-processor.properties. If that file does not exist, create it.